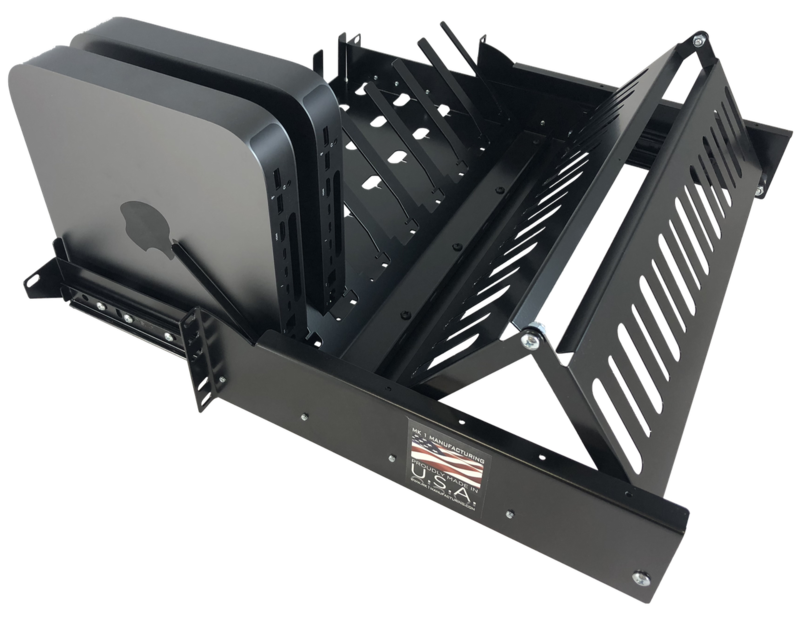 The MMR-2G-5URS rack-mount server adaptor for the latest Apple Mac Mini with space for 8. 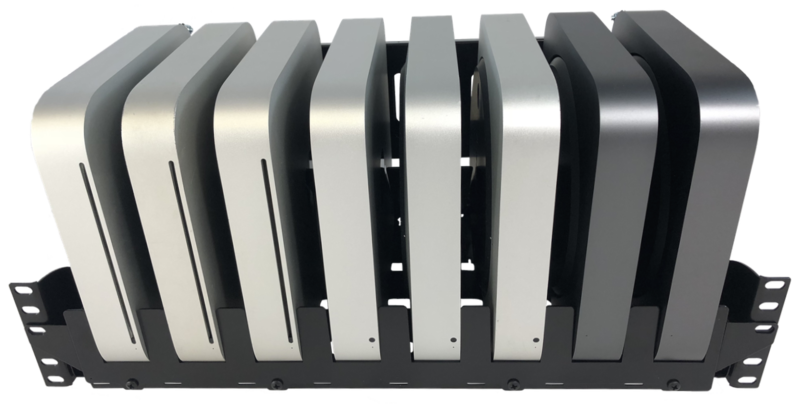 Also compatible with all Unibody Mac Mini's to date. 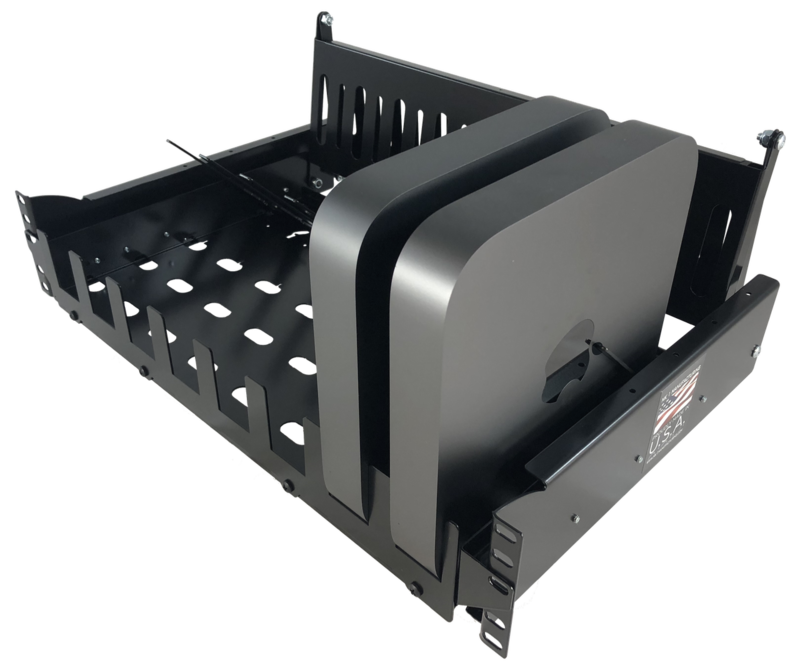 This unit has a 10" ball bearing for easy slide out access for the Mini's. 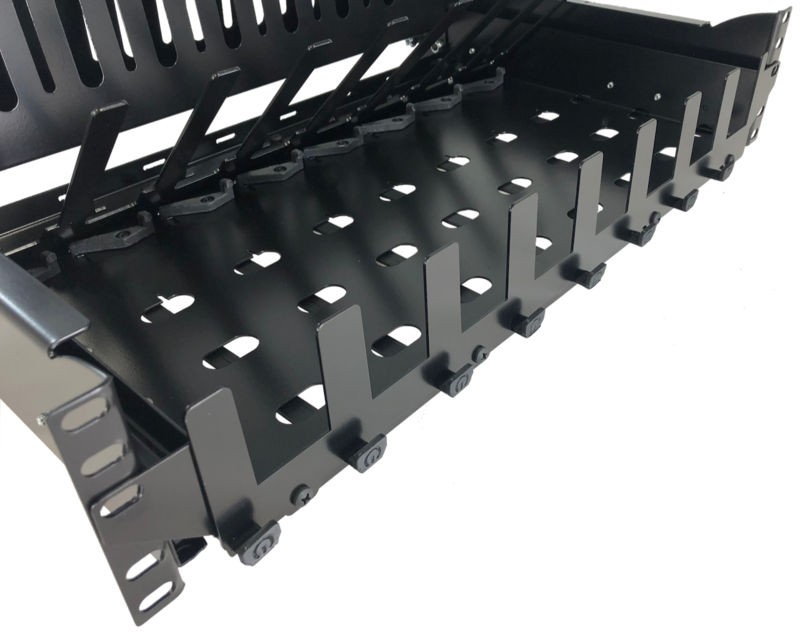 Each unit is held vertiacaly to allow for maximum Mac Mini density within only 5U of rack space. The included wire managment feature help keep the cabling secure and neat allowing the unit to be slid out while all the computers are still active. Here is a video that shows wiring on the wire management feature. 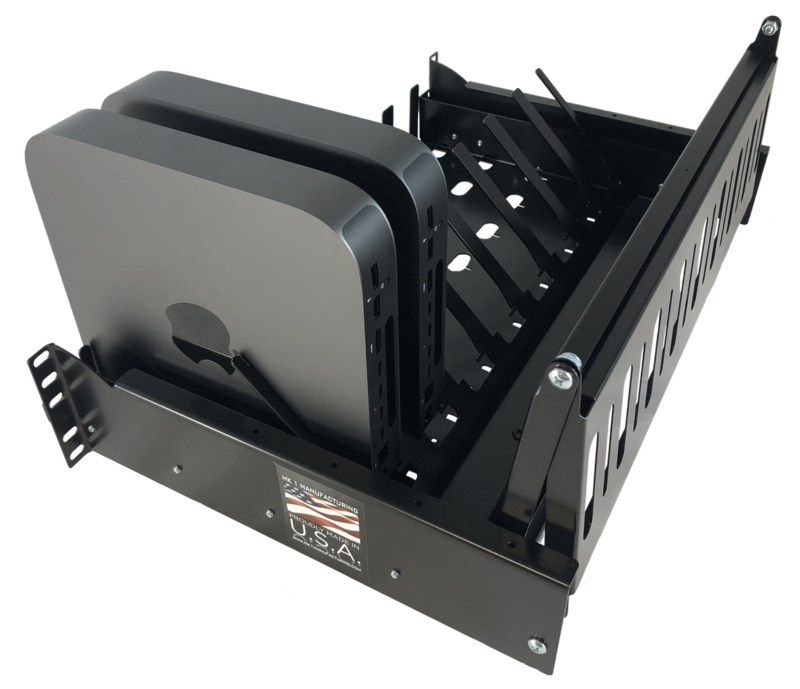 For USB and Power access from the front, see our upgrade options below. 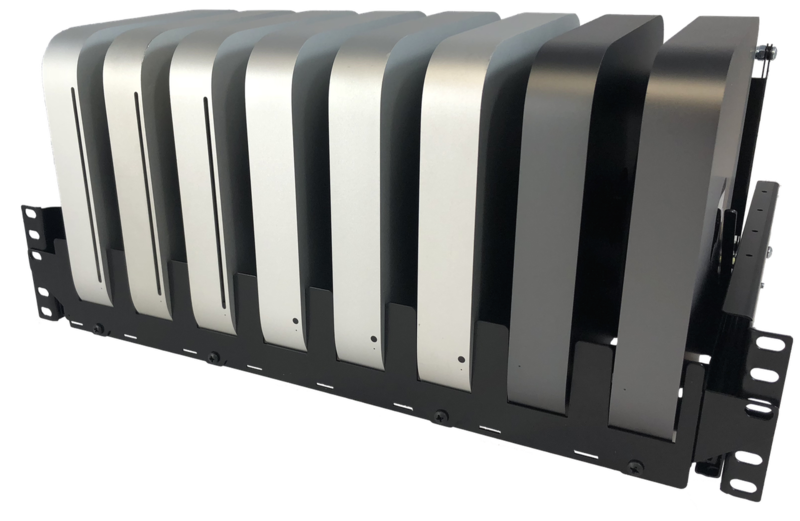 Holds up to 8 of all current unibody Apple Mac minis vertically. 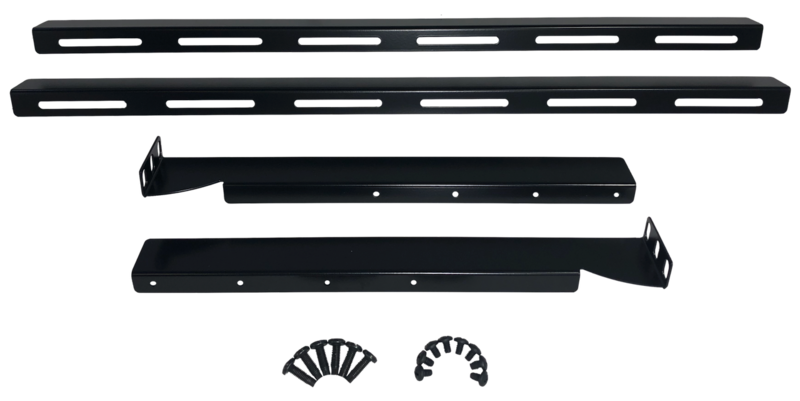 5U standard 19” nema rack space. Open face design for better air flow. 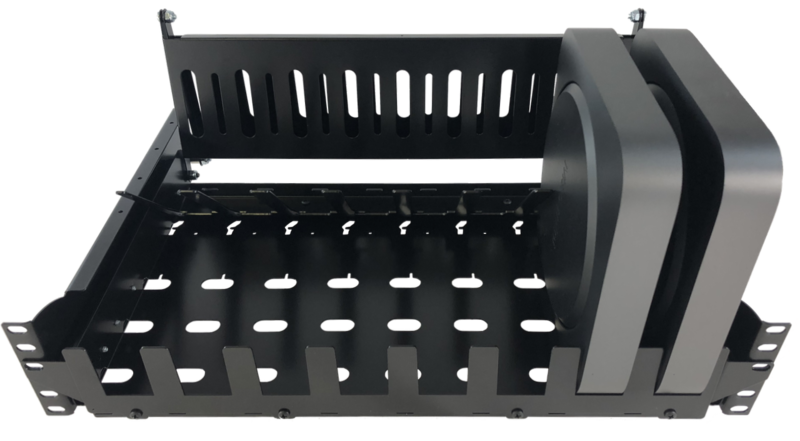 Optional front panel 3.0 USB. Optional front panel power switches. Optional rear brace for added support.